SVG, JPEG, EPS, PNG, GIF … with all these file names that exist, it’s easy to get lost in the realm of formats. Here, we focus on what an SVG file is, as well as the advantages of using it. Explore all about this file type and discover how you can make it work for you. 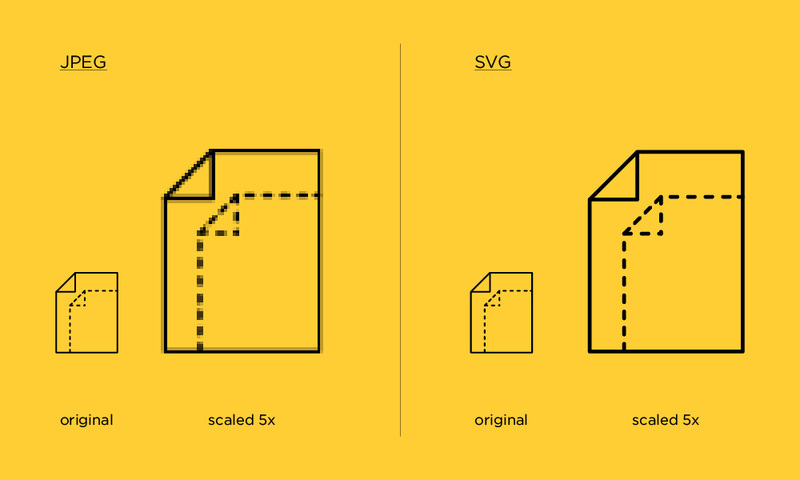 The acronym SVG stands for Scalable Vector Graphics. An SVG is a two-dimensional graphics file that has a vector-based formatting. It’s a source file that can be grouped in with file extensions such as .ai, .eps, and .pdf. This means that it can be sent to a printer’s for high-resolution output and still be modifiable. Find all the SVG files you need on LoveSVG! When opened using a text editor, you will find that an SVG file uses an XML-based text format to describe the visual that you see. And because it uses text, an SVG file is considered to be more versatile compared to its raster-based counterparts, in terms of resolution. Commonly known file types, for example, JPEG, PNG, GIF or PDF, tend to lose their quality when they are scaled to a larger size than their original. SVG files do not lose quality or display a pixelated visual as a raster-based file would when resized. With its versatility, the SVG format is quickly gaining popularity in the vector world. The cool part about an SVG file is that it can be opened via most modern web browsers. While most others would require an add-on installed, major browsers such as Firefox, Chrome, Opera, and Safari support the rendering of files with the SVG suffix. Previewing the contents of an SVG is much easier compared to an AI file type, or a PDF. In a nutshell, that means you don’t have to download an SVG file to check out its contents. So what happens when you’ve downloaded an SVG file? If downloading and installing creative programs aren’t your thing, you can opt for using one within your web browser, like Pixlr Pro. 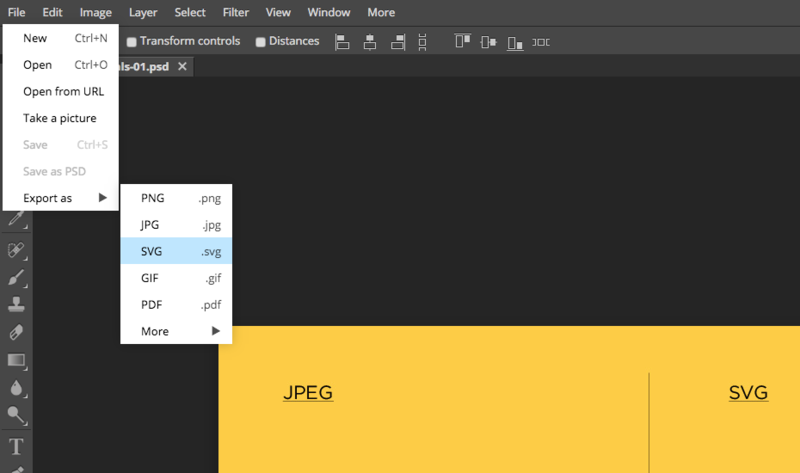 Simply choose to open your downloaded SVG file through the drop-down menu in Pixlr Pro’s interface. However, should you already have some creative programs installed in your computer, like CorelDraw and Silhouette Studio, for instance, those are compatible with SVG files. Free programs like Inkscape also support the creation of files with the SVG extension. With Adobe having played a large part in the production of the SVG format, naturally, most programs in the Adobe Creative Suite are able to create them. 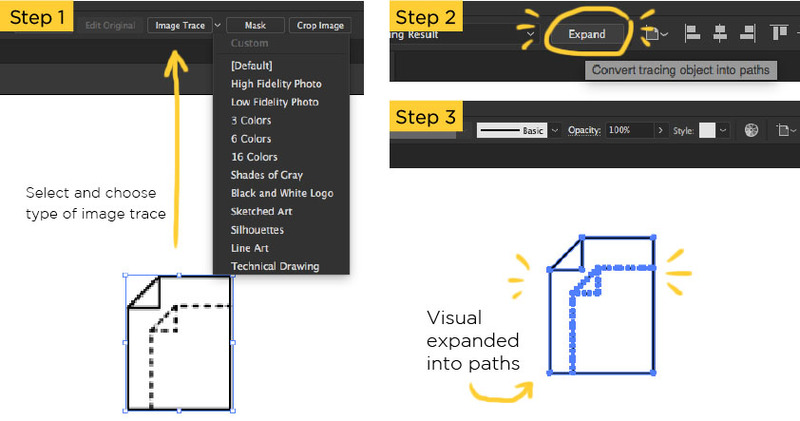 In Illustrator, simply choose to save your file as an SVG extension from the drop-down menu. The same method goes for Photoshop, InDesign, and Animate. In fact, Pixlr Pro, Inkscape, and CorelDraw are able to produce a similar file output. 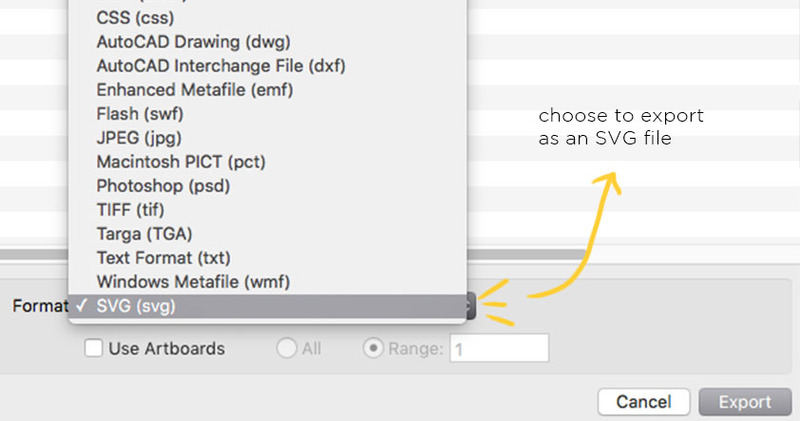 In an identical manner to Adobe’s saving method, choose the .svg file version to save it in CorelDraw. In Pixlr Pro’s drop-down menu from their toolbar, choose to export your finished artwork as SVG (.svg) format. For Inkscape, simply copy an image file into a bitmap version and save it as an SVG format in their file export menu. Lastly, drawings made in Google Docs can be exported as SVG too. Depending on your program of choice, you can easily convert a raster-based image into an SVG format. Say you’re using Illustrator. Simply place your image file into your artboard and convert it into a vector format by clicking “Image Trace” on the toolbar. This will expand your image into paths. Then you can easily modify your graphics to your liking. To save, click ‘Save As’ and choose the SVG format. Who doesn’t like being able to quickly upload or share compact files, without compromising on file quality? That’s exactly what you get when using SVG files. Editing an SVG file is also a lot easier than editing a JPEG for example. According to w3schools, SVG images can be created and modified using any text editor. Easily scalable and zoomable, SVG files don’t lose their quality no matter how many times they are resized or modified. This leaves a lot of room for playing around with an SVG file’s design elements. SVG files work great for DIY arts and crafts, especially if you have experience with working DIY cutting machines such as Cricut. Ultimately, SVG files are much easier to use but are still an underrated choice in comparison to, say, a JPEG. If you’ve been searching for a more versatile format to work with, why not give the SVG a go? If you liked reading this, you might want to check out some packaging design templates. Or maybe even learn how to create a 3D drop cap text effect. While you’re at it, why not explore our top 10 techniques on staying creative?